So imagine this, you just had a solid workout session and feel satisfied with how much you’ve pushed yourself. When you wake up the next day and try to get out of bed, your leg muscles are aching, you can barely walk. You sit there struggle to get by the next few days and couldn’t get back into your fitness routine as planned. What you’re experiencing is called Delayed Onset Muscle Soreness also known as DOMS. The soreness is felt more strongly between 24 to 72 hours after exercising. So beginners, there’s nothing to worry about, experiencing post workout muscle soreness is part of muscle adaptation and development. It is something that anyone and everyone who has ever worked out can relate to. The question is can you avoid DOMS all together? Well to simple put no, but there are steps, which you can take to prevent and reduce DOMS and also to help your muscles recover quicker. As a result, you’ll be able to train stronger for longer and also reduce the risk of any exercise related injury. There has been a lot of debate going around in regards to weather or not stretching after exercising actually helps to reduce muscle soreness. Well here’s the thing, when you train, you contract the muscles and so the muscle fibers get shorter and tighten up. So stretching after exercising will help to lengthen the muscles, relieve the feeling of tightness and also promote better muscle recovery. If however you find yourself disagreeing on this, well put it this way, stretching will still help to increase flexibility and we want that. So there’s no harm to include 10 – 15 mins of stretching after a good solid workout. Warm water can increase blood flow and help loosen up tight or sore muscles. But do not jump into the hot tub immediately after your workout. When your body heat is already high and you have lots of muscles breaking down, it’ll further damage your muscles. So soak in a hot bath only once you’ve fully cooled down and your muscles have returned to their resting temperature. If the pain is isolated you can also apply heat directly to that specific spot that’s sore by using peel-and-stick heating pads. Getting a massage isn’t just about pampering yourself, in fact massaging a sore muscle will promote blood flow and ease tight muscles. This will help to speed up the recovery process. So if you can, go for a light massage session, not the rough massage, which may only cause further injury to the sore muscles. Just remember that the massage should be somewhat relaxing and you shouldn’t be in constant pain. If however, you don’t prefer to go for a massage session, another great way to massage a sore muscle is to invest in foam roller. The foam roller works similar to massage by increasing blood flow to your muscles. The best part it, it is cheap, easy to use and you can do it on your own. Foam rolling involves a technique called self-myofascial release, which uses pressure and targets the connective tissue covering the muscles. So put the roller on the floor, use your body weight to apply pressure and roll back and forth over the sore areas for about 1 minute. If it’s your first time doing it, take it easy and eventually you’ll get the hang of it. Remember, before you do that, check that you’re rehydrated and that your heart rate is back to normal. When your muscles are hot and loaded with lactic acid, you might make it worse. 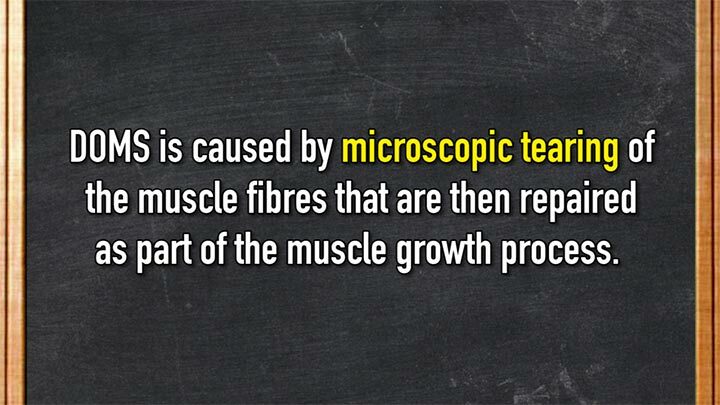 When your muscles are sore, your muscles are basically inflamed. Omega 3s are know to help reduce inflammation. 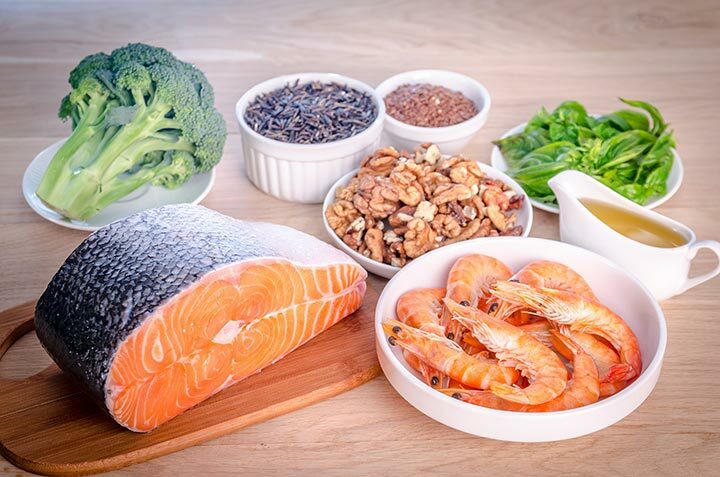 So add foods that are rich in Omega 3s such as salmon, oily fish, flax seeds, chia seeds, avocado, walnuts, spinach and edamame. Or for convenience, you can also take fish-oil pill on a daily basis. As much as you want to push yourself in your workouts for best result, getting plenty of rest is equally just as improve. This means getting at least 6 – 8 hours of sleep every night and allow yourself at least one rest day in a week. When you do not have enough rest, it’ll not only affect your fitness performance but your muscle will also take much longer to recover. So remember to prioritize your sleep schedule as much as you prioritize your workout. And the final tip is to move it! When your muscles are so sore that you can barely walk or even get off your bed, you’re likely be happy to just sit on the couch and hope that the pain will go away. That’s the last thing you should be doing! Just know this, circulation promotes healing. When you are sat doing nothing, the blood in your body will not be able to flow, hence the pain will not go away. What you should be doing is continue your workout through “active recovery”. 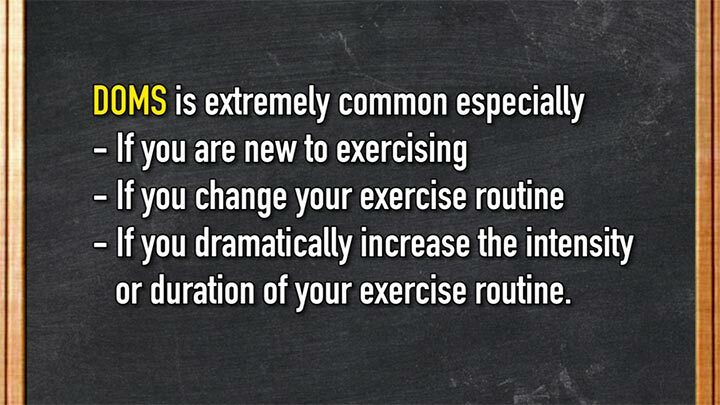 So it’s basically low-intensity exercises that just to get the blood in your body flowing WITHOUT taxing your muscles. So just think of gentle yoga classes, brisk walking, an easy hike or relaxing swim. You can do this the day after an intense workout and for another couple more days if your muscles are extremely sore. So my recommendation is to alternate your workouts to ensure that you’re working your muscles to its best effort but at the same time, you’re giving your muscles time to recover. For instance you can alternate between 2 days of high intensity, 2 days of moderate intensity and 2 days of low intensity. So guys just remember that when you experience DOMS, the goal is to increase blood flow into your muscles and relieve the feeling of tightness. Wanting to achieve great fitness result doesn’t only include the training aspect, but it includes getting plenty of rest and eating well. When you’re able to find that balance, that’s when you’ll be able to train stronger for longer and achieve result in the most efficient way.